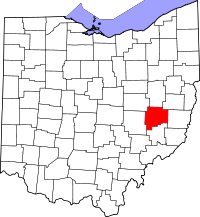 To search for vital records from Guernsey County, Ohio, you should follow the link to the Ohio Office of Vital Statistics at http://www.odh.ohio.gov/vitalstatistics/vitalstats.aspx. Here you can find information on how to obtain marriage records, birth records and death records. You can also use the Guernsey County Vital Records Office website at http://www.vitalrecordsus.com/ohio-guernsey-county.html. However, if you wish to make an online request for certified copies of birth and death certificates, you can use the VitalChek website. This is a secure website and additional fees may be incurred for online requests. You can access the VitalChek website at http://www.vitalchek.com.